Earlier today, Samsung issued a statement regarding the Galaxy Note 7 exploding battery issue, literally stopping all sales of the device worldwide. Thus, until Samsung solves this complicated problem, no one will be able to buy the Note 7 anymore. But what about folks who already purchased a Galaxy Note 7? Well, Samsung said that it would "voluntarily replace their current device with a new one over the coming weeks." If you have a Note 7 from Sprint, you don't need to wait for weeks, as you can already exchange it with "a similar device until the issue is resolved." Sprint doesn't say exactly what similar devices are being offered, but it mentions that you should go to a nearby Sprint store to see what you can get in exchange. 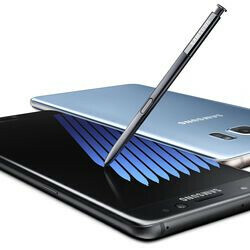 AT&T and T-Mobile also issued statements concerning the Samsung Galaxy Note 7. Like Sprint, both carriers stopped selling the phone. However, right now, they don't have specific details on how customers can exchange the units that they already bought, though more information will be revealed soon. Update: Folks who purchased the Galaxy Note 7 from T-Mobile can now get a "complete refund", including on accessories. The refund can be used to buy any other device that T-Mobile is currently offering. Customers can also choose to wait for a "new Note 7 replacement" which T-Mobile expects to deliver "in the next two weeks." Dang this is getting out of control. How much money will they loose?? If Apple plays this right they should be able to break records with the iPhone 7. No they won't. You think people who like Samsung devices will get an iPhone 7? I'd go back to my Note 5, S6 Edge+ before I would ever buy an iPhone. Get real dude. You're just one person though. There are plenty of people who might buy the iPhone 7+ if the Note is not a viable option at that time. techieXP = IDIOT he thinks if he hates iphone 7 then everybody hates iphone 7 . grow up dude woah wait i almost forgot that ur an almost 48 yr old samsung sheep. ur wife must be so upset with u , u should probably must give her time buddy Peace!. hes right most of galaxies users won't buy an iphone, no need to insult him, just act like an adult. 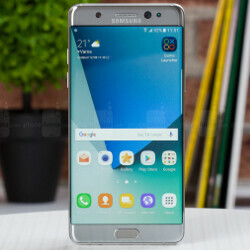 You're probably right, most people who buy a Note get it because they like the Note and it's fetures not because it's Samsung and your probabaly right about most poeple switching back to a Note 5 or a similar device util the issue is resolved but there will undoudtly be people who switch to an iPhone 7+ or some other device puirly out of spite and the posible fear that the new Note 7 could still exsplode and some will sipmly dcide they don't like the Note 7 anymore, my point is some pople will switch phones and Apple is the company mostlikly to profit from people switching so give the OP a break lol. media is making the problem bigger than how exactly it is, any phone will overheat and explode if you use it too much while charging, idk if thats the problem with the n7 but thats my two cents. it is a bigger problem. You're going to be very disappointed when this all sorts itself out, and the notes still sold a ton. Then, you're going to be disappointed again in November. Bruh it's as big a problem as it is being made out to be, houses could catch fire and people could die in their sleep. Samsung said it is a defective battery so we already know the problem, has nothing to do with using it while charging. That's what PA likes to do when it's Samsung. If it was Apple PA might post one article. No, it's definitely a very big issue. But, Samsung are stepping up and taking care of it. That's just one opinion. You want to stay with Samsung but not everyone else is as loyal. Yes I do. You maybe would not, but you are are just one fan there's millions of people who just want a phone that works no matter the brand. Those same millions get scared easily by anything bad they hear. 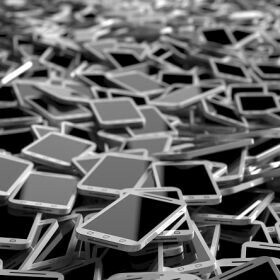 So when they all start hearing about exploding phones in the manner that TV news usually exaggerate, those millions will look elsewhere. Get real dude, you and he rest of the Samsung fans in this site only make up 0.00001 percent of the world. That's why Apple is still in business. Fandroids no but for the average Joe who doesn't give two s**ts about their phone, yes. Join the rest of us in 2016, 2012 Is Way behind. 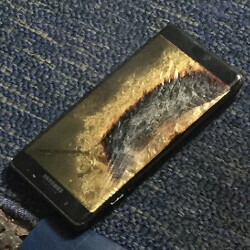 Precisely why Samsung is replacing their customer Note 7 even those without any problem. Its to put their customer mind at ease. Would you buy an iPhone after receiving a new replacement phone? Most likely not, right? Its costly but its also the right thing to do for their company future sales. I have 2 from T-mobile. I returned my VZW one because it had other issues I didn't like. I have one International model I ordered. All 3 are working perfectly and I'm keeping mine. I'm not returning it. Once they figure it out, I will only exchange it for the same phone. Nothing else is worth my money. I still have my Note 5 and so does the wife. 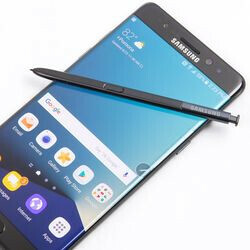 @TechieXP1969 The idea behind the recall is that, even if your Note 7 is working perfectly right now, Samsung can't guarantee that it won't have issues in the future. It's advisable (and safer) to return all units. No point bro.....he's set in his ways. Hey Mr florin you remember the other article in which I asked you some questions when you said it depends on the questions whether I should ask them or not? 8 days nearly and still no reply from you......It's a pity I don't remember the post now but if you have a notification unread or if you do remember the aforementioned article, then please care to reply. All questions are for the betterment of phonearena.